So this is Chungkingosaurus, first in a long line of completely obscure dinosaurs that this children’s book decided to include for some reason that remains a mystery to me. Maybe the author is trying to prep the next generation of children for the intense peer scrutiny of the coming post-post-modern cultural landscape, when everyone finally all knows all the bands and they have to move on to things like dinosaurs and 16th century nautical jargon. It could have been worse, I was actually vaguely aware of this dinosaur’s existence, but I did have to look up its species name on Wikipedia, which is really embarrassing. DINO FUN FACT (and by fun, I mean mildly interesting): We actually refer to all dinosaurs (and most prehistoric animals) by their genus name, and not species. We don’t refer to anything in the present day by its scientific name, but our common names, and what we think of (correctly) as completely different animals (i.e, lion, tiger, liger), reflects differences at the species and sometimes even subspecies level. But both those cats are in the genus Panthera. To further illustrate, Homo sapiens (sapiens) is us, and Homo habilis was like a pre-caveman large-brained apeman…well just look at the picture. "Hey Lucy, I'm...no wait I'm Lucy"
But same genus. 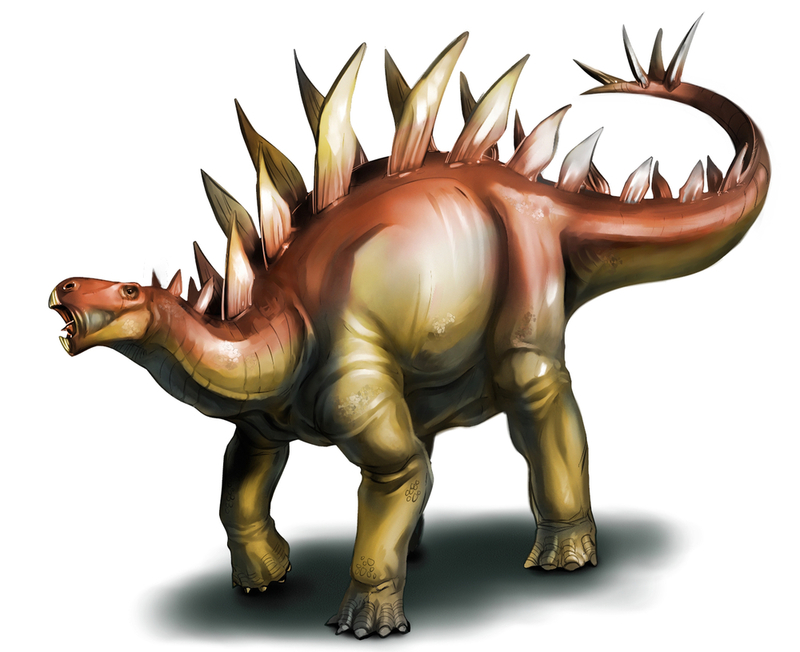 There are something like five to eight currently recognized species of the genus Stegosaurus. Scientifically speaking, those different species of Stegosaurus are as different from each other as we are from Homo man-ape, which would sound horrible if anyone took that out of context. There goes my dreams of a presidential run. GLENN BECK: “I have here in my hands a transcript of a blog post you wrote in 2014, in which you refer to ‘Homo Man-Ape”. So it’s kind of enchantingly mind-boggling, in a fun, science way, to think of the insane amount of diversity that must have been going on back in dinosaur times that we don’t quite fully process by referring to them by their genus names. Also, Tyrannosaurus lived closer in time to us than it did to Stegosaurus. Now there’s a fun fact for everyone. Except Homo man-ape. Brain wasn’t quite there yet.